Belton Lodge is approached via a sweeping driveway, This is one of the most sought-after residential areas of Torbay with the local amenities of Wellswood nearby. 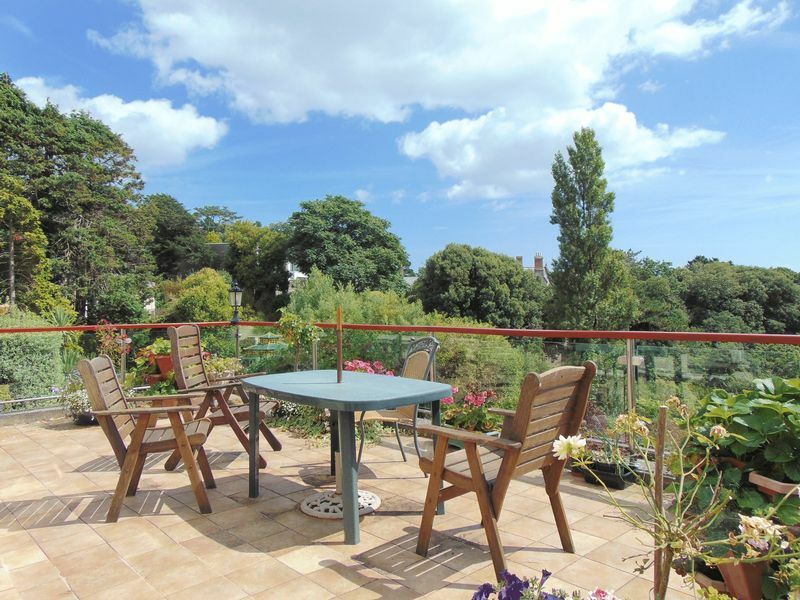 Torquay town centre and harbourside offer an excellent selection of shops, cafes, restaurants and bars, together with an impressive marina, golf course and other leisure facilities. 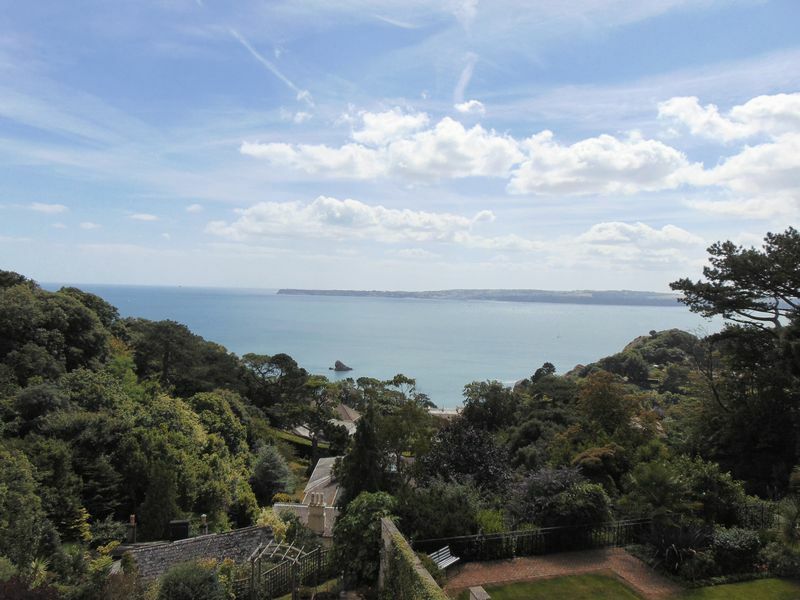 There are beautiful coastal walks and sandy beaches, together with good road and rail links. The station connects to intercity services (London Paddington) at Newton Abbot. Belton Lodge comprises the largest portion of an important Victorian house, built in the 1840s for the Countess Brownlow. 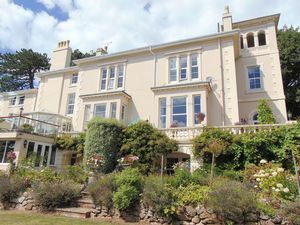 The six bedroomed accommodation, which has gas central heating and double glazing provides lofty gracious rooms, most of which enjoy fine coastal views. The property, which has several original features, leaves potential for updating and improvement and subject to consents, there are great possibilities for alternative uses. 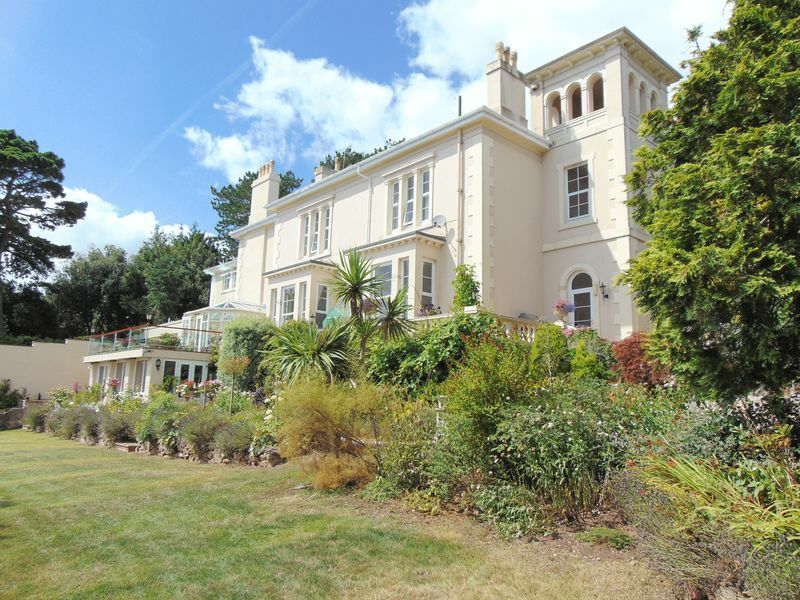 Belton Lodge is currently a superb private residence, but it would also lend itself to dual family occupation, sub-division or alternative uses such as a high quality guest house/B&B, small conference centre, arts or therapeutic centre or exclusive retreat. There is extensive parking, garaging and a truly beautiful garden and sun terrace. 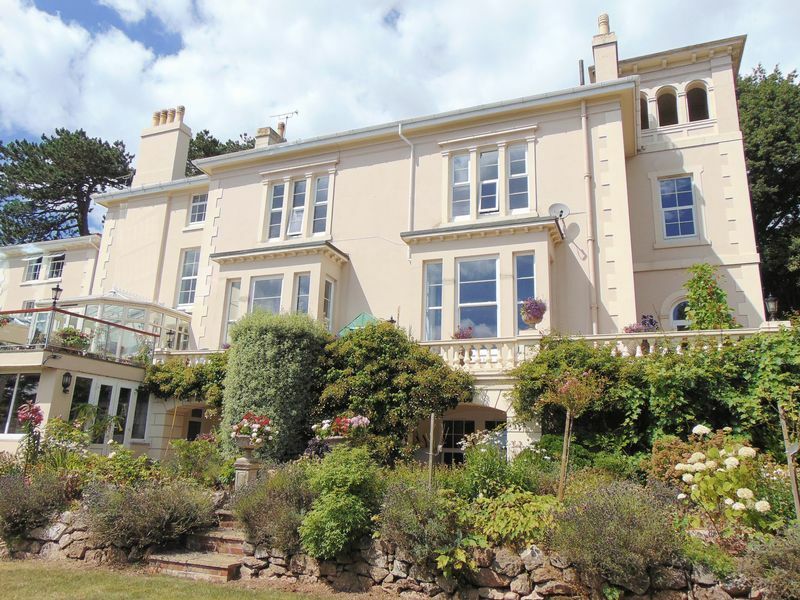 To conclude; Belton Lodge presents a rare opportunity to acquire a period house with a distinguished history and fantastic potential, in one of the most sought-after parts of Torbay. Research suggests that Belton Lodge was built in the 1840s for Lady Emma Sophia Edgcumbe, who married (1828) John Cust, 1st Earl of Brownlow, of Belton House Lincolnshire. The family seat is now a much visited National Trust stately home. Countess Brownlow held the office of Lady of the Bedchamber to the Queen Consort Adelaide between 1830 and 1849. She wrote the book ‘Reminiscences of a Septuagenarian’ published in 1868. Her portrait (seen here) was painted by James Rannie Swinton in 1846 and hangs at Belton House, near Grantham. Double glazed window, white ceramic wall mounted wash hand basin and low level W.C. Radiator, coat hanging rail with shelf. Corniced ceiling, picture rail, radiator, marble fireplace with a carved wooden surround, large glazed display case, wind down chandelier, magnificent staircase with a large arched window leading up to the first floor, stair case to the lower ground floor. 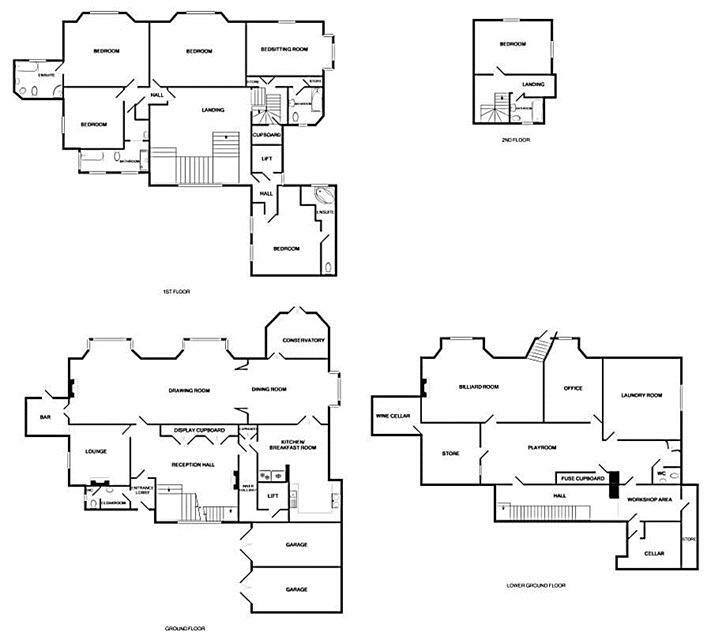 Access to the lift, built in cupboards, door to the kitchen. 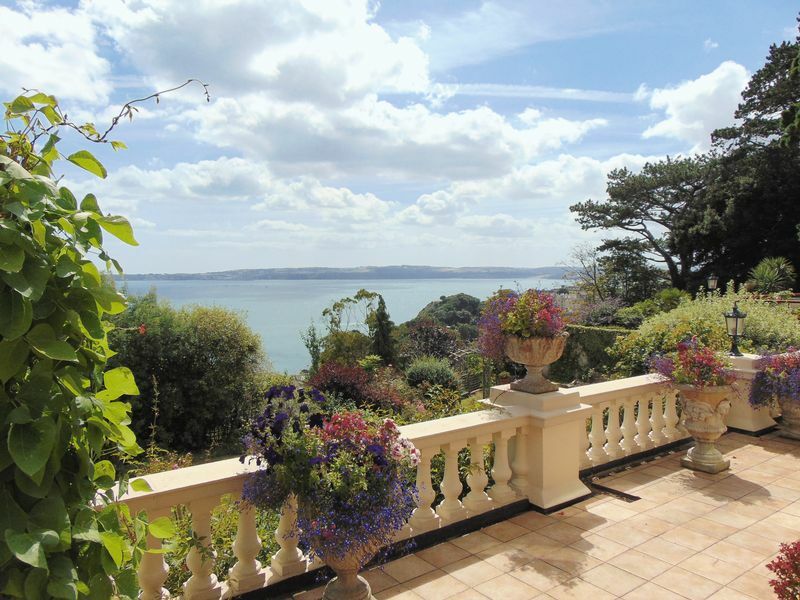 Surrounding double glazed timber windows give magnificent views of the sea, double french doors opening onto the terrace. 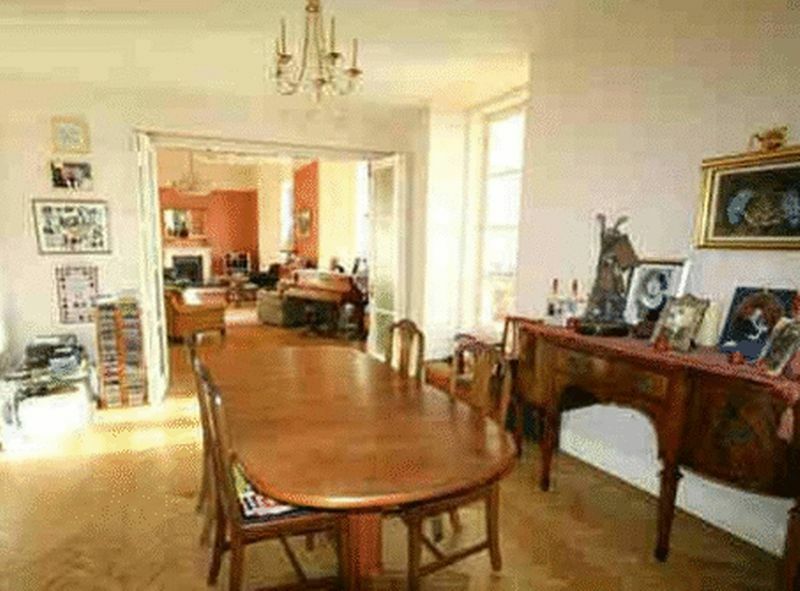 Built in cupboard, fitted beech display cabinets with matching cupboards below, large alcove with space for fridge / freezer. A large vaulted double glazed conservatory style ceiling, oak strip flooring, a matching range of beech wall and base cabinets with concealed lighting and fitted worktops with tiled splash backs, glass fronted display cabinet, gas fire Aga, stainless steel double bowl sink unit, plumbing for dishwasher. Double glazed window, picture rail, dado rail, radiator, carved wooden fire surround with living flame gas fire, television point, telephone point. 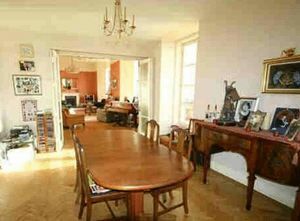 Radiator, coving to the ceiling, picture rail, fitted bar with shelving beneath, stainless steel sink unit, large arched recess with mirror and shelving, double glazed door to the outside terrace. 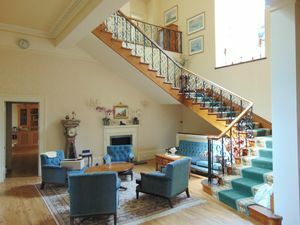 An impressive staircase with arched window leading up to the first floor landing, large sky light, ornate cornice, picture rail, radiator, wall lights. Hatch to roof space, doors to large lined cupboard with slatted shelving. uPVC double glazed window with excellent views across Torbay to Brixham and Berry Head, coving to the ceiling, radiator, white suite comprising pedestal wash basin with mixer tap, low level W.C. Bidet, panelled bath with mixer tap, hand held shower attachment and tiled surround, corner shower cubicle with a Supajet shower unit and sliding glass screen, heated towel rail. uPVC double glazed window with an excellent sea view across Torbay to Brixham and Berry Head, coving to the ceiling, picture rail, two radiators, tv point, wash basin within a vanity unit with a cupboard below, matching range of bedroom furniture including glass fronted wardrobes, chest of drawers and bedside tables. uPVC double glazed window, picture rail, radiator, tv point, range of built in bedroom furniture including wardrobes and drawers. An L shaped room with three arched double glazed windows, radiator, pedestal wash basin with mirror and electric light over, low level W.C. Panelled bath with mixer tap and shower with a tiled surround, shower cubicle with a Mira shower unit and sliding glass screens. Twin obscure glazed sash windows, radiator, coloured suite comprising a pedestal wash basin with tiled surround with mirror and electric light, low level W.C. Circular "Whirlpool" bath. A dual aspect room with uPVC double glazed windows with excellent views across Torbay to Brixham and Berry Head, picture rail, radiator, tv point, corner fireplace, wash basin within a vanity unit, a range of fitted matching bedroom furniture including wardrobes with cupboards over and a dressing table. Obscure glass window, radiator, coloured bathroom suite comprising pedestal wash basin with tiled surround, low level W.C. Bidet, panelled bath with tiled surround and "Mira" shower unit over, wall light and shaver point. 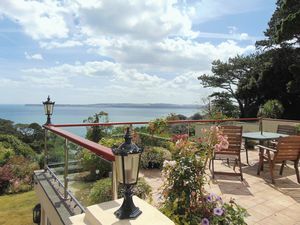 A dual aspect room with uPVC double glazed windows giving excellent sea views across Torbay to Brixham and Berry Head, picture rail, radiator, TV point, telephone point, fitted bedroom furniture to include glass fronted wardrobe, dressing table and bedside tables. Obscure glazed sash window, electric heater, coloured bathroom suite comprising pedestal wash basin with a tiled splash back, low level W.C. Panelled bath with tiled surround, shower mixer tap, shower rail and curtain, wall light and shaver point. Door to large storage cupboard with fitted shelving, doors to built in cupboards housing electric meters and consumer units. Pedestal wash basin and low level W.C. Obscure glass window, wood block flooring, "Potterton" gas central heating boiler, large lagged hot water storage tank, stainless steel double sink unit, space and plumbing for washing machine and tumble dryer. uPVC double glazed window, wood block flooring, radiator, spotlights, telephone point. uPVC double glazed windows, radiator, cast iron multi fuel wood burner standing on a brick hearth within a stone wall, wall light points, stairs rise to a timber single glazed door to outside, space for full size billiard table with suspended light over. Fitted shelving in alcoves for wine storage. Belton lodge is approached from Higher Lincombe Road via a sweeping tarmacadam driveway (the first part of which serves two other properties: Belton Gate and Eden Lodge) leading down to the house with a large parking and turning area in front of the twin garages. The driveway has sensor activated lighting and has well maintained terraced shrub and flower beds to the higher side. Lighting to each garage, gas meter to the right hand garage. 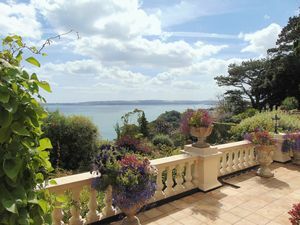 An L shaped paved sun terrace with ornate Italian style stone ballustrades runs around the side and front of the house to a larger patio area with contemporary glazed screens and hard wood hand rails. 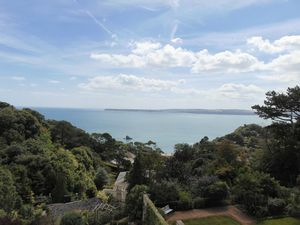 There are magnificent views here across Torbay towards Brixham, Berry Head and beyond to the open sea. 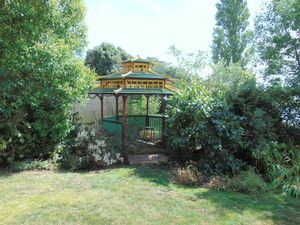 A great place for Alfresco dining and sitting out during the summer months. 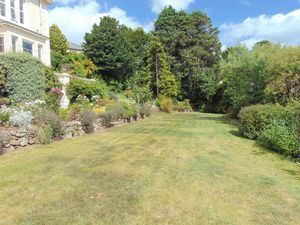 To the front of the property is a secluded level lawn edged with mature flower and shrub beds with wonderful views of Torbay, Brixham, Berry Head and the open sea beyond. A private and secluded sitting area with an attractive Italian style water feature can be found amongst bushes and trees to the far corner with a colourful pergoda in the oriental style. At the western end of the main garden there are a series of ornamental fish ponds and waterfalls. 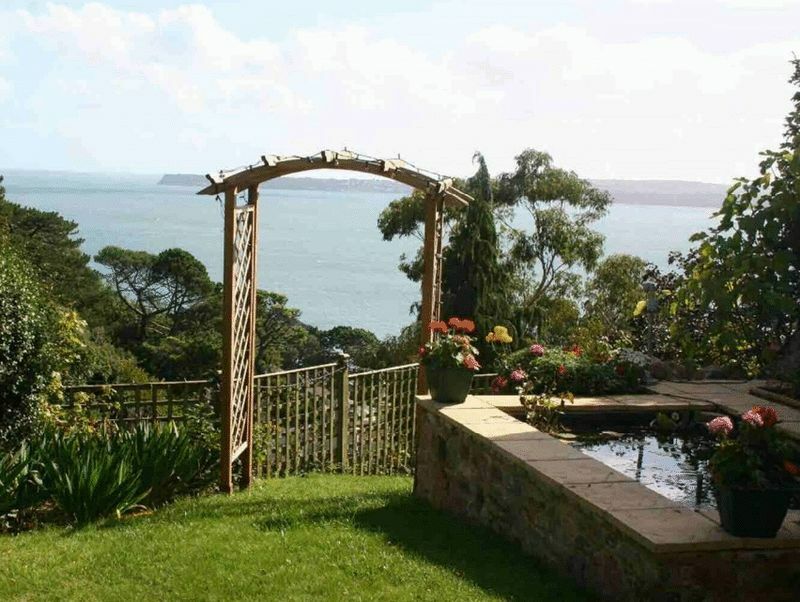 A timber trellis archway opens into a further terraced lawn area with excellent views over Meadfoot and across Torbay to Brixham and Berry Head. A number of small mature fruit trees can also be found here with a reasonably sized and well stocked vegetable garden beyond with an aluminium framed green house. Finally access to steps leading down to the waterfront can be found here. 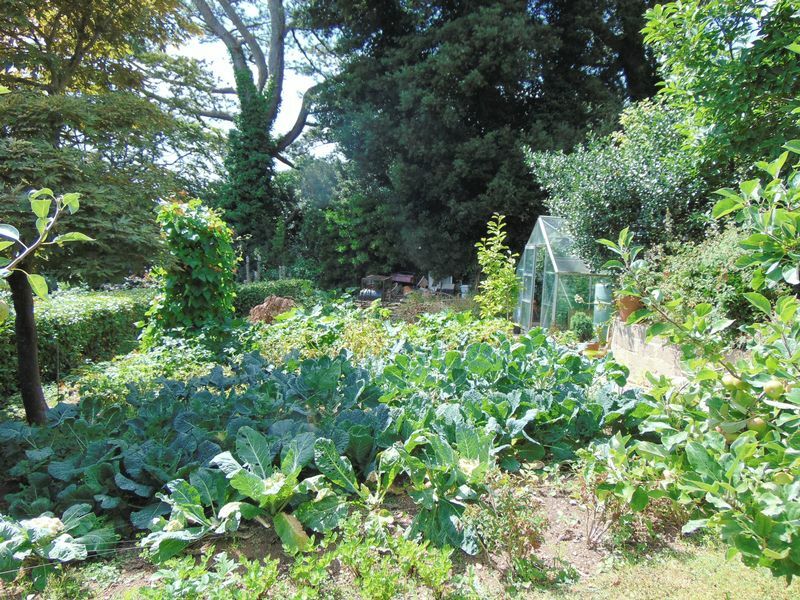 The property is connected to all the main services to include: water, electricity, drainage and gas. There is a gas fired central heating system.